Allison Springs Estuary underwent a large restoration project this year in 2012. 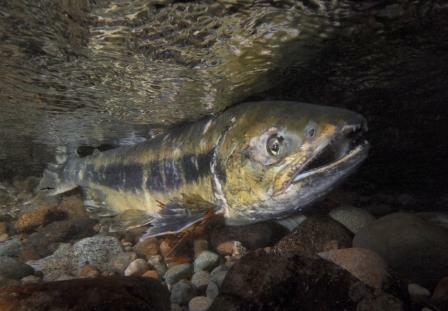 It has been successfully completed, restoring habitat for salmon. The project helped restore the estuary to its natural functions and provide a healthy habitat for other species living in the wetland area. Below is a picture of a chum salmon at Allison Springs taken this month by Roger Tabor from U.S. Fish and Wildlife Service.